Georgians and Victorians particularly enjoyed cognate anagrams, in which the anagram is related in some way to the original word or phrase. 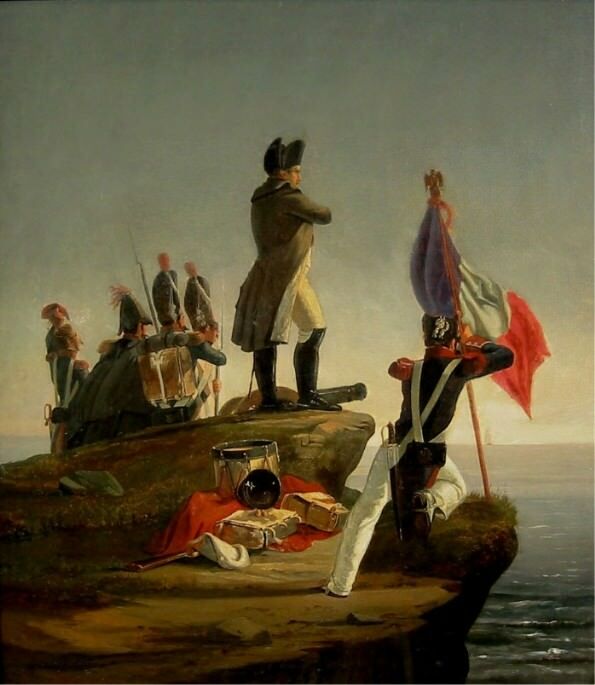 A number of anagrams were made from well-known names of the Napoleonic Wars. Napoleon wasn’t much given to word play, though he did enjoy naming Claude Victor Perrin (“beau soleil”) the Duke of Belluno. One of Napoleon’s companions in exile on St. Helena related the following anecdote. It was stated by one of our people that the owner of one of the houses…on the island…said, ‘It is reported that you complain up yonder and consider yourselves unhappy (he spoke of Longwood), but we are at a loss to make it out; for it is said that you have beef every day, while we cannot get it but three or four times a year, and even then we pay for it at the rate of fifteen or twenty pence a pound.’ The Emperor, who laughed heartily…observed, ‘You ought to have assured him that it cost us several crowns.’ Crowns in English, and in several languages of the continent, means also a piece of money. This resilience stands him in good stead in Napoleon in America. The Gazette of the Union, Golden Rule and Odd-Fellows’ Family Companion, Vol. IX (New York, 1848), p. 30. “On Palindromes,” The New Monthly Magazine and Literary Journal, Vol. II (London, 1821), pp. 171-172. H. B. Wheatley, Of Anagrams (London, 1862), p. 142. Ibid., pp. 86, 96-97, 135-137. Emmanuel-Auguste-Dieudonné Las Cases, The Life, Exile and Conversations of the Emperor Napoleon, Vol. II (London, 1835), pp. 164-165. I found delight in these trifles! Thanks, Jeanne. I’m so glad. The pun about crowns is said to have been made by Walpole. The king asked what it would cost him to take a London park into his private garden, and Walpole’s answer was “Very cheap, Sire, only two crowns.” I forget the details about which king or park it was, but would guess George II and Green Park, or St James’s. The crowns would have been Great Britain and Ireland. Thanks, Geoffrey. I hadn’t heard that one. Sometimes playing with letter shapes is not the only skill in creating anagrams. I am rapt in “Napoleon, Empereur des Français – Un pape serf a sacré le noir demon/A serf pope has crowned the black demon”. The political contents of that anagram were so clever, at least for all the peoples of Europe except the French. One can almost picture a Gillray caricature to go with it. I loved reading this unique and witty post! Thanks, Paula. Glad you liked it. You’re most welcome. Thanks for your kind comments. I’m glad you enjoyed the website. [T]hough anagrams and all kinds of play upon words are in themselves trivial, there is no doubt that, on the presumption of recreation being necessary in a life of toil, the mind will at times find amusement and delight in trifles.